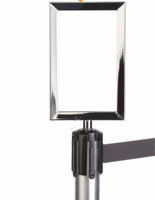 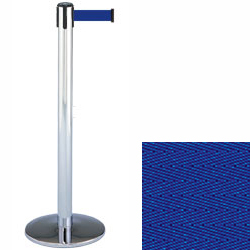 This is a polished chrome crowd control post with 7 1/2 foot blue belt. 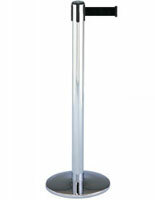 Our posts are the nicest in the industry, they are tested to the highest quality standards. 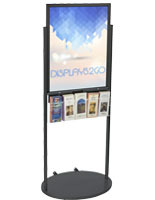 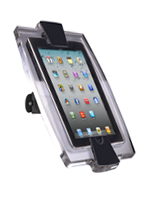 Also with Displays2go we can ship faster than anyone in the country, you will be waiting days, not weeks. 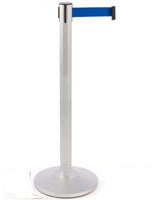 This post measures 38" tall with a 13 1/2" diameter base, and weighs 24 lbs. 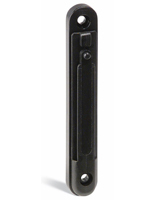 The belt is approximately 2" wide.